Well, this is going to turn out to be quite the saga in the end. Adrien Rabiot's seemingly imminent departure from PSG is set to be fairly acrimonious affair with Barcelona's full involvement too. Call it a reverse Neymar. The footballer has been told by the French club's bigwigs that he will no longer be considered for upcoming PSG games due to the fact that negotiations have broken down on a contract extension. 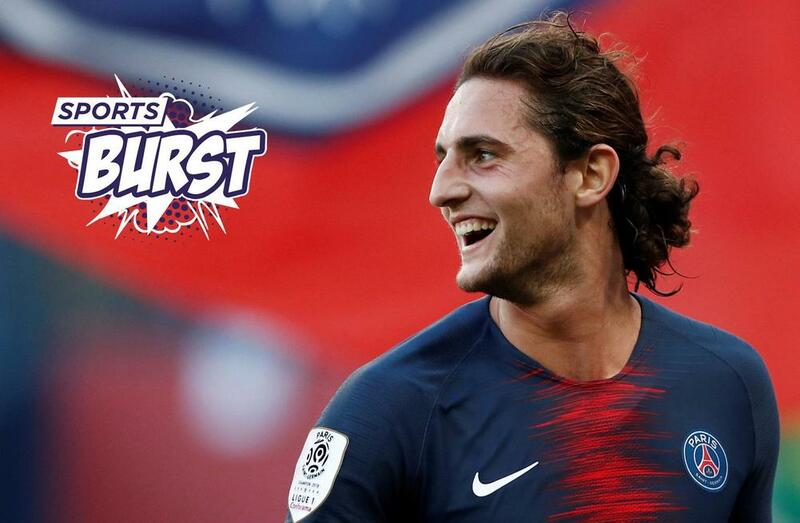 The footballer's mother and agent, Veronique Rabiot, has been a key part of the kerfuffle saying that her son and client wanted to leave last summer but was not allowed to, hence the problem with the footballer's contract running out in June and bad faith all round. Barcelona is now involved in the case with the La Liga club rumored to be after the player while he is mega-cheap in January or free in the summer. However, the PSG sporting director, Antero Henrique, has said that Barca has a lot of work to do after a late offer for the player was received last summer that was "ridiculous" and "disrespectful." "He told me he does not want to stay at PSG," was the final word from Henrique on a move that is set to take place sooner rather than later. There could an extra special guest on the TRANSFER TRACKER! table for January. And that is Arsenal's Mesut Ozil. The playmaker was merely a bystander in Arsenal's defeat to Tottenham in the League Cup on Wednesday with Unai Emery declaring Ozil's absence from the squad to be a "tactical decision" and unwilling to guarantee the German staying with the Gunners. Injury and other 'tactical decisions means that Ozil is very much on the outside looking in at Arsenal this season. Inter Milan is reportedly one exit strategy. Room for one more Portuguese player at Wolves? Ex-Besiktas and ex-Real Madrid defender, Pepe? Absolutely. With a Portuguese uber-agent running affairs in Jorge Mendes, a Portuguese coach - Nuno Espirito Santo - and eight Portuguese players in the first team squad, it makes perfect sense. That and a happy Pepe being able to hack people down with greater freedom in the anything-goes Premier League. Happy days! BREAKING NEWS! Barcelona has announced that it will be covering a bit of an injured centerback crisis with a loan deal for Valencia and Colombia defender Jeison Murillo. The player is due at the Camp Nou on Thursday for a medical. Catch the latest transfer gossip on the Sports Burst live show at 12PM ET / 9AM PT. This is becoming a bit of a theme. Another unwanted footballer to join Rabiot and Ozil. Mario Balotelli! Nice boss - that's the boss of Nice, not 'nice boss', although he could be nice - Patrick Vieira, has given a rather strong hint that he no longer wants the Italian striker at the club after the footballer was left out of the Nice squad that crashed out of the Coupe de la Ligue against Guingamp on Wednesday. "Mario Balotelli will not be in the squad against Strasbourg on Saturday, either," confirmed Vieira who said that a winter window move was quite possible for the footballer. Vieira and Balotelli have not seen eye to eye from the start of the French manager's arrival on the Nice bench, with critiques over Balotelli's fitness and match readiness. In return, Balotelli has done nothing to change Viera's mind with a haul of no goals from nine Ligue 1 starts this season. There is likely to be a strong indication of the strategic and tactical direction of the USMNT under Gregg Berhalter today. The newly-installed men's national team boss is set to announce the names of the players called up to a January training camp, the first steps in a new era for the struggling institution. With the background of stories of falling attendances and viewers for matches in 2018, Berhalter will be starting to answer a lot questions in regards to the team in a press conference. Does the former Columbus Crew coach prefer players from MLS or abroad? If Christian Pulisic is not playing for Dortmund, will he be playing for the USMNT? And what is the status with some of the players now considered veteran and very much part of the failure of the US to qualify for the 2018 World Cup, footballers such as Michael Bradley and Jose Altidore? Tune into the XTRA at 7PM ET / 4PM PT where Phil Schoen will pour through the tea leaves.